Before taking the Marvel license and turning it into one of the most popular fighting game franchises of all time by combining it with their own stable of characters, Capcom’s licensed output mostly came from their excellent Disney games in the 8-16 bit era like Ducktales, Aladdin, The Little Mermaid and Goof Troop among countless other classics. 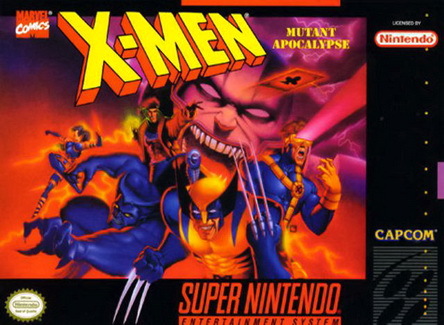 After takes on the X-Men license by competitors like Acclaim/LJN, Konami and Sega, Capcom secured the lucrative license and released the SNES exclusive X-Men: Mutant Apocalyse. A bizarre mash-up of nearly all of Capcom’s most popular franchise at the time, Mutant Apocalypse, like Capcom’s Disney games, is an excellent 16-bit action game that still manages even today to be one of the best games ever produced to star Marvel’s uncanny heroes. 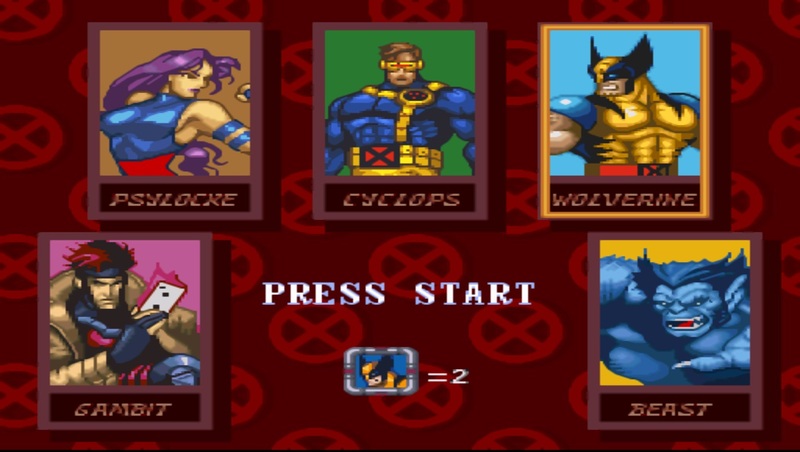 When kidnapped mutants are found to be held on the island of Genosha, Professor Charles Xavier sends a team of X-Men comprised of Cyclops, Gambit, Wolverine as well as Beast and Psylocke, both of which made their playable debut in this game, to investigate. The team discovers that the kidnappings are all part of a plot by the centuries old mutant Apocalypse who has enlisted help from the alien species known as the Brood as well as the evil mutant, Tusk. X-Men: Mutant Apocalypse is light on plot, but it’s premise is solid enough to do justice to the license’s popular heroes and villains though sadly, SPOILERS FOR A TWO DECADE OLD GAME, despite having the word “Apocalypse” in the title, the big bad winds up being Magneto in the end. This is to be expected though, as even today Magneto is a character known to even those who have a passing interest in the long-running franchise. While Apocalypse does loss top-billing in the end, he is treated much better than two other villains: Omega Red and Juggernaut, both of who only show up as a boss fight and even then they’re Danger Room training session holograms. 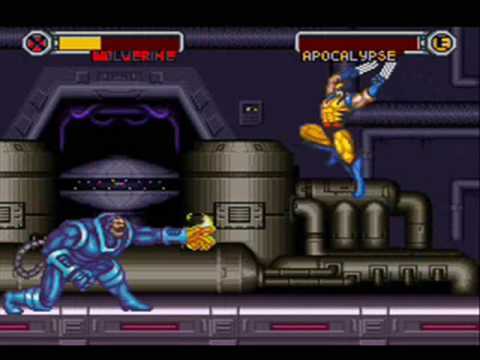 Upon hitting start on the main menu, you’ll notice that X-Men: Mutant Apocalypse bears a starling resemblance to another Capcom franchise, MegaMan, which is the first of many callbacks to other franchises from the company’s catalog. You’re given a character select screen where you’re able to complete the opening stages in whatever order you wish with the stipulation that you must complete it using the X-Man or Woman pictured on the stage select. The middle of the game abandons this and allows you to play as whatever character you choose before returning back to the concept in a different way in the game’s conclusion. Starting out at least, Mutant Apocalypse’s difficulty can appear to be punishing. You must complete the five introduction stages with only two lives per character and no chance to continue. If you complete four stages and fail to finish off the fifth, it’s game over and back to the start only to do everything all over again. If you stick with it though, the game becomes far more forgiving. The levels after the first few allow you to play as whoever you wish and even when it returns to the five stage per character set-up in the end, you only need complete at least one level with whatever character you’re most comfortable with. By forcing you to finish at least one stage per character, the game smartly forces the player to adapt to each character’s unique play style and thus determine who they will proceed moving ahead. Boiled down to its core mechanics, X-Men: Mutant Apocalypse is a side-scrolling platformer beat-em-up with elements of Final Fight where your most basic controls are to jump, move and attack. As this is the X-Men we’re talking about, things aren’t as simple as Final Fight because unlike the brawlers of Metro City, the X-Men have their own unique super powers that are pulled using move combinations ripped from Street Fighter II. Cyclops for example can fire optic blasts by a quarter circle motion with the attack button and Wolverine can dash through a wave of enemies by tapping forward twice plus attack. The characters powers aren’t only used for attacking though, but also for environmental traversal in certain cases. Wolverine can use his claws to climb up walls, and Beast can walk on ceilings which brilliantly changes how you think about going through the levels. Later levels will have secrets that can only be gained by using a specific characters abilities with the trade-off being it might be harder to beat a boss with a character who has to get up close as opposed to one who can fire projectiles from a distance. Though unconventional for this type of game, I’ve come to realize that the controls for Mutant Apocalypse actually make it better. If all you had to do was tap a button to fire a projectile, you could complete a large percentage of this game with little to no challenge. Take for example, the Brood Queen boss at the end of stage five. I always pick Cyclops to beat this boss by using my optic blasts. If I could just stand back, jump, and hit X, it would be pretty easy, but the added panic of having to put in the correct input while at the same time avoiding damage makes even the most basic encounters feel dangerous and important. It also helps that the inputs for the moves are very responsive, which one would expect from the people who more or less popularized them with the Street Fighter franchise. This not only stands true for the special moves, but the acts of punching and platforming which are both tight and responsive. The X-Men were tied with only Spider-Man and Batman as being in the most games in the early console days, but they didn’t look quite as beautiful as they do in X-Men: Mutant Apocalypse. Each character sprite is large and detailed without making the game suffer in the least. 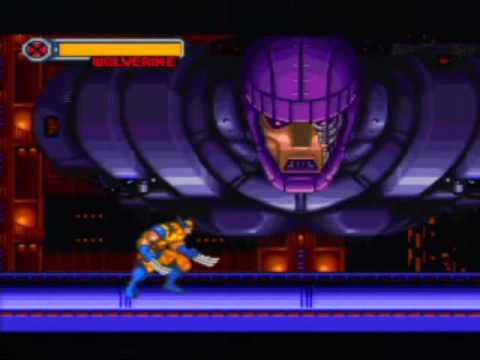 The backgrounds to are equally as detailed, as well as varied, as you travel up an uncompleted Sentinel spine in Genosha before travelling through a Brood nest, an active volcano that’s on your tail and culminating in Magneto’s space base on Asteroid M. Like their Disney licensed games, Capcom also saddled Mutant Apocalypse with a great soundtrack, with my favourite being Gambit’s theme from his solo level that fits perfectly with the character’s confident swagger and the boss battle music that like MegaMan, fits the fights perfectly. The only really flaw that can keeps X-Men: Mutant Apocalypse from being a classic like Capcom’s other 16-bit efforts is its length. The levels post the first five are pretty short overall with some just being either a boss fight or a short stage before a boss fight. There is a lot of replay value to be found though by challenging yourself with characters that make you rethink how you play the game. My favourite character to play as is Cyclops who I feel is a good character to get through the game fairly easily, but someone else may feel completely different about that and use a character I barely touched past the point where I had to like Psylocke. Though a little on the short side, X-Men: Mutant Apocalypse is a game that in the tradition of Capcom’s Disney titles, has aged very well and can still be regarded even today as one of the best X-Men games produced. Call it X-Men meets Capcom’s greatest hits, or just simply an incredibly well put together game that just happens to have one of the most popular comic book licenses of all time. Whether you’re an X-Men fan or not, there’s still plenty to love about X-Men Mutant Apocalypse.